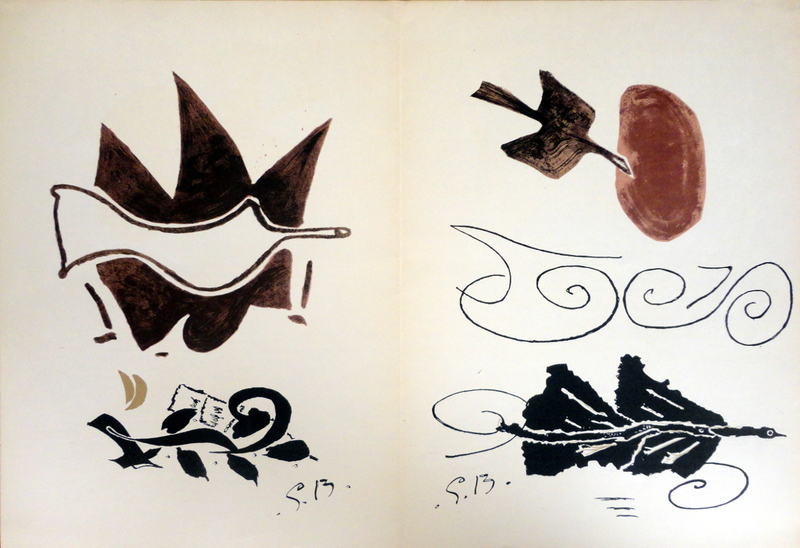 Georges Braque, two single page lithographic colour reproductions, 38 x 28 cm each. DLM no. 85-86 published in 1956 on the occasion of the artist’s exhibition of paintings and sculptures at the Galerie Maeght in Paris, containing four lithographic colour reproductions: the cover, a double page, two single pages.